Two seminal events that took place this week – the FCC’s vote to scrap net neutrality rules and Rupert Murdoch’s sale of vast chunks of his empire to Disney – are a stark reminder of what really matters in the contemporary media economy: size and influence. The Trump-era Federal Communications Commission has eagerly succumbed to a lie peddled by internet service providers and their Republican friends that net neutrality is an outdated impediment to price discrimination and increased corporate profits. Meanwhile the Murdoch deal provides yet more evidence of a top-heavy and hyper-commercial communications sector in which even a $75 billion company like 21st Century Fox is deemed to be too fragile in comparison to its competitors. We are now faced with a digital landscape in which any remaining ‘pebbles’ are likely in the coming years to be hit with inflated prices if they want to be afforded the same treatment as the ‘boulders’ of the online world (who have rather deeper pockets). Indeed, we are seeing the very opposite of levelling. The scrapping of net neutrality is no more than a land grab by corporate giants relying on some very familiar factors: a captured regulator (in the shape of the FCC), a heavily marketised political discourse and more than $25 million of lobbying by the biggest internet service providers. The overturning of net neutrality strikes at the very heart of the principles of non-discrimination and universality that were essential to the growth of the internet. It will allow giant companies like Comcast to ensure that, despite the hopes of people like Leadbeater, the digital world just looks more and more like the worst of the analogue world: riven by inequality and opacity and engineered to suit shareholders more than ordinary citizens. The decision by Rupert Murdoch to sell off the majority of his entertainment portfolio at Fox but to keep most of his news business tells a similar story of corporate profiteering but, as with most things Murdoch-related, with some additional political spice. For the BBC’s Amol Rajan, the decision by Murdoch to go against his natural instincts and sell (rather than buy) assets is a dramatic illustration of a simple lesson in contemporary media economics: ‘scale is everything’. In the face of the more than half a trillion dollar valuations of competitors like Google, Apple and Facebook, Murdoch’s distribution system is simply not geared up to the task of meeting the expectations of the attention economy. Without a distribution platform that is guaranteed to reach hundreds of millions of people, Murdoch probably figures that it’s better to cash in (although, to be precise, this is not a cash sale but the acquisition of a lot of stock) than to compete with digital giants who could gobble up Fox for breakfast. On the other hand, it’s hardly as if Murdoch is beating a retreat from the world of politics. Having spent years nurturing the media power that gave him direct access to Downing Street and, more recently, to the White House, he is far from ready to abandon his decades-long crusade for the politics of a poisonous conservatism. The ink was hardly dry on the deal (and months before regulators and shareholders will have had the opportunity to agree to it) before Donald Trump phoned him up to congratulate him on such a wonderful job-creating initiative. Which is pretty ironic considering that one of the main motives for Disney in acquiring Fox assets is to take advantage of ‘cost synergies’ – in plain speak, that means we’re going to see plenty of redundancies. Murdoch may now attempt to put back together the News Corporation that he reluctantly broke up following the phone hacking crisis in 2011. He did that effectively as a sop to regulators as he embarked on a fresh attempt to buy the 61% of Sky that he did not already own. That deal is now being held up by the Competition and Markets Authority – in itself a testimony to campaigners’ arguments that a wholly owned Sky would be antithetical to media plurality and ethics and would cement Murdoch’s position at the top of the UK’s media marketplace. 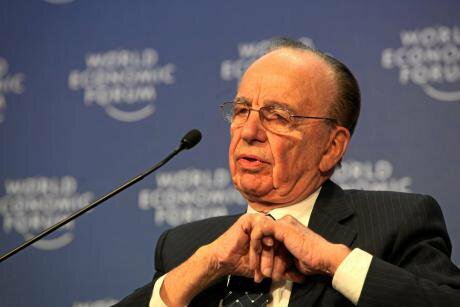 It is a measure of Murdoch’s malign political influence that the thought of a Disney-owned Sky – in other words, the fact that Britain’s largest broadcaster is to be fully controlled by a company even bigger than 21st Century Fox – is somehow less disturbing even if it simply intensifies the consolidation and commercialisation of the British media. Yet, we're still facing the restructuring of our communications landscapes – a process that is overseen by nervous regulators and kept politicians, dominated by the monopoly power and influence of tech companies and ISPs, and dedicated to the pursuit of corporate profits and neoliberal logics. The opposition is out there – thousands demonstrated against the FCC’s capitulation to market fundamentalism while the British public remains hostile to further concentration of media markets – but it will need to be mobilised quickly before the boulders (both new and old) crush all hopes for a democratic media.